It may not be the 60's anymore, but many people still hold onto the same ideals of that time period: peace, love and a free spirit. These beliefs take us to a much more loving place, one where we aren't so glued to our smartphones and remember the value of nature and the human spirit. 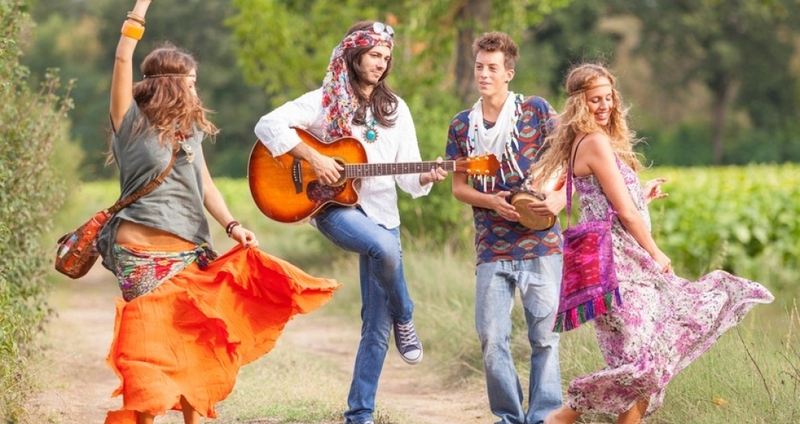 Here is a list of flower child quotes to bring out your inner hippie! Love all people no matter what they've done to try and hurt you. Allow yourself to grow anywhere, and around anyone. Go forward in life with this mantra. We are all children of the earth. When you are positive, those around you will be too. The earth loves us as much as we love it. There's a little sunshine inside all of us. We can all be free if we believe we are. We should always view things positively. Material things aren't that important. Some people won't understand you, but they won't be as happy as you. Sometimes the things you want in life are so simple. Peace is free and wonderful. Always follow your instincts and what you believe in your heart. It doesn't take much to make a big difference, and you can do it in surprising ways. Happiness can be so simple. This message in our list of flower child quotes just tells you to go with the flow and change will be easy to accept. This is an easy way to remind yourself of how to be at peace. Never forget who you really are. Remember there is always something better to come in our lives. Always be yourself. Life will be so much better that way. All things are better with it. You are just as valuable as anyone or anything else in the universe.